At Jane Frankland's book tour last week (on International Women's Day), there was a great buzz in the air as people stood around chatting, drinking and networking with like-minded people in the Security industry and beyond. Her newly released book, 'IN Security' is already a bestseller and in it, Jane talks about her life, how she started her career in fashion and, (as many of us in our current careers know), what we initially set out to do as a career, isn't always what we end up doing. Part way through Jane’s presentation, she spoke about public speaking and specifically speaking to aspiring CISOs. Jane name dropped a few people who have been on the journey with her whilst publishing her book (and also feature in the book). The people ranged from apprentices in IT to well respected CISOs in the industry. One of the CISOs who spoke on the night talked about how Jane was her mentor. This got me thinking about mentors and how important having a mentor can be, from a development and advice stand point and even the path your career/life may or may not take. I believe the benefits of a mentor can be huge and immensely valuable. Whether your mentor is someone you can turn to in a time of need, someone to check in with to make sure you are on the right path or someone you like to ask for general advice. Your mentor can be anyone. Your current manager, someone else in your business that you don't report to, someone within your industry that you admire, an old teacher, sports coach, friend or family member. If this person can give you guidance, whatever guidance may look like to you, and you are benefiting from talking with this person, then this is a valuable mentoring relationship. It might sound obvious, but take notes! If your relationship is a good one it is likely that the conversations you have will be more casual coaching than a Q&A session. Because of this, the topic can drift and it's up to you to pick out the valuable advice you are being given. Set an agenda each time you meet, so that you have a some structure to your meeting. Time is precious with a mentor so make sure you have some clear objectives and you aren't tempted to just 'chat about life'. Your mentor is not a counsellor, nor are they your sounding board for frustrations. A meeting with a mentor is valuable and you should use it wisely to gain insight in to how you can deal with problems, find solutions and, importantly, progress your career. If you set goals during a meet-up, make sure you understand your mentors role in helping you achieve these. 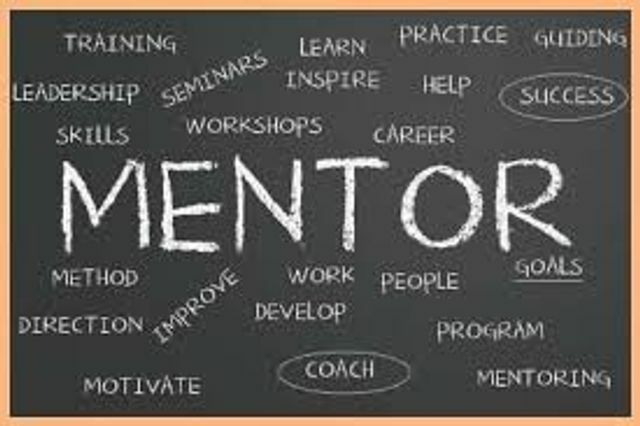 Your mentor is not responsible for your success, they are there to support you and help keep you on track so you will need to be pro-active in getting their advice for refocusing if you feel you are straying from your goals. Be mindful of your mentors time. If you have chosen a mentor it will be because they are successful in whatever they do. Therefore, they are likely to be busy individuals. Be careful not to demand too much of their time and remember to always be proactive with them rather than waiting on them to arrange / organise and follow-up. The job of a mentor is important and you should not take the role on lightly. When you agree to be a mentor you are agreeing to have a positive influence over someone's career and (sometimes) life, so it's important that you understand your role. You are advising, not instructing. Telling someone what to do is not the main purpose of the relationship, your job is to listen, guide and support. Your time is precious. If your mentee cannot stick to the agenda, make sure you can refocus the conversation so that they are getting the most from their time with you. Only allow yourself to be a mentor if the mentee is someone you truly believe you can help. You will normally get the best out of someone who shares a similar mindset to you. It is easier to influence and support someone with whom you can understand the way they think. Your role is valuable to them, don't let them down by not delivering what they need. Do you see the value having a mentor? I do.